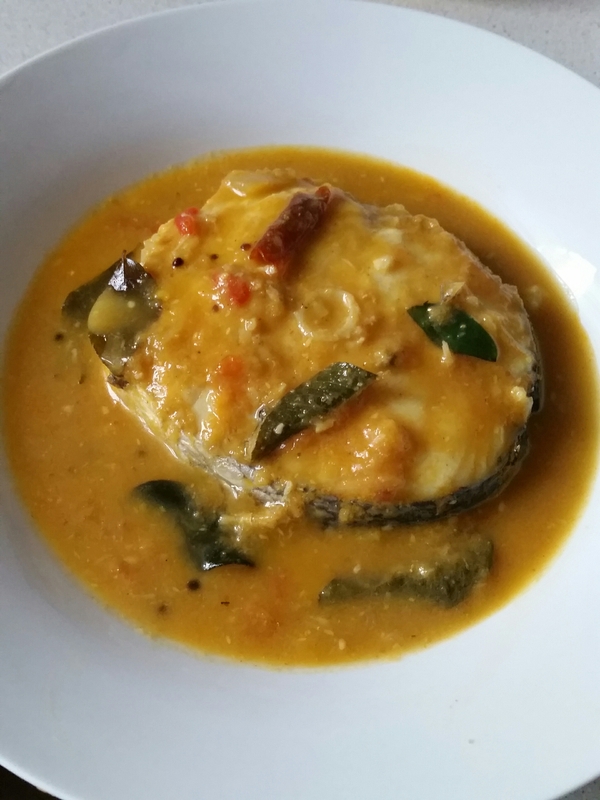 I spent 6 months in Goa during my Hotel Management Course and had the pleasure of trying some lovely local dishes. 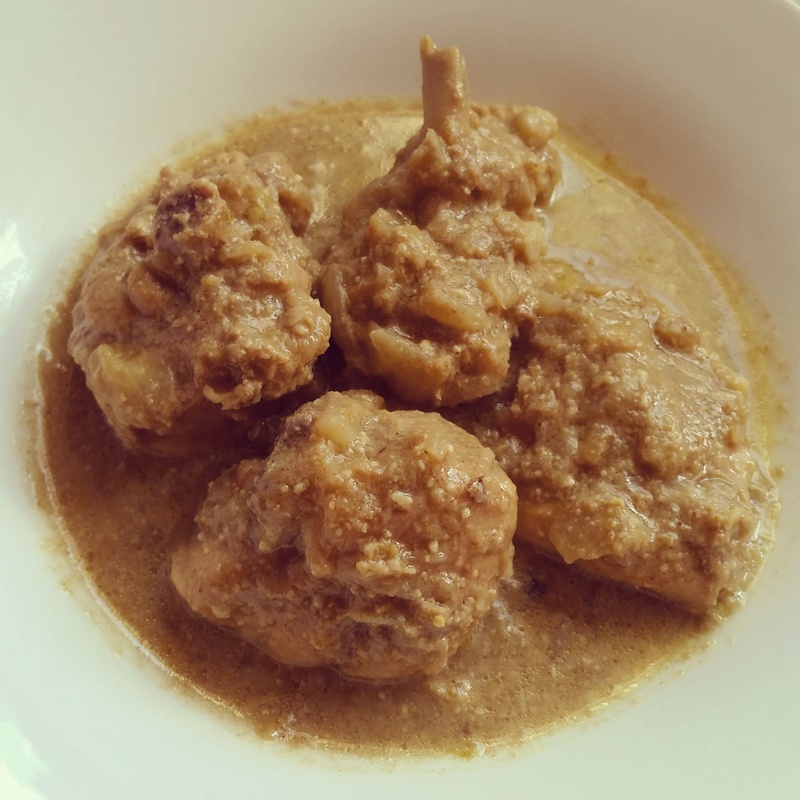 Of all the Goan dishes the Vindaloo is perhaps the most popular the world over. However the ones cooked in the UK curry houses are far from the original. Here it seems to be popular as one of the hottest curry on the menu. 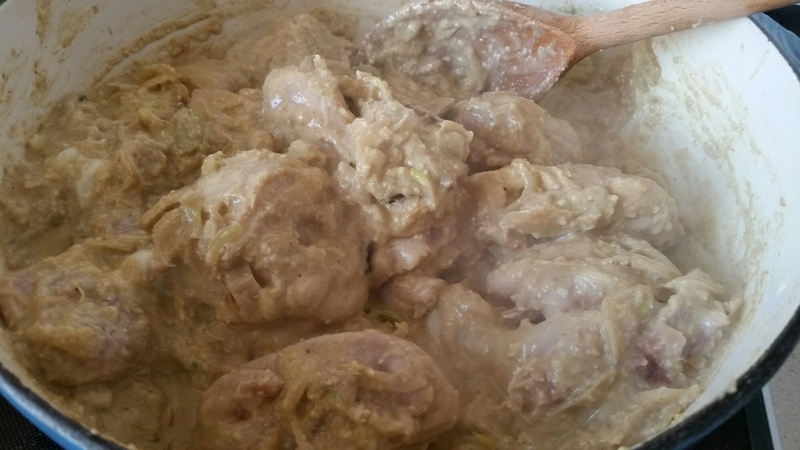 However the dish is a Indianised version of the Portuguese dish “carne de vinha d’alhos,” a dish of meat, usually pork marinated in wine and garlic. The wine was substituted by vinegar and red chillies and a few other spices, ginger , garlic and sugar were added. Locally it’s also known as vindalho or vindallo. Essentially the spices are ground in vinegar and the meat is marinated in it before cooking. 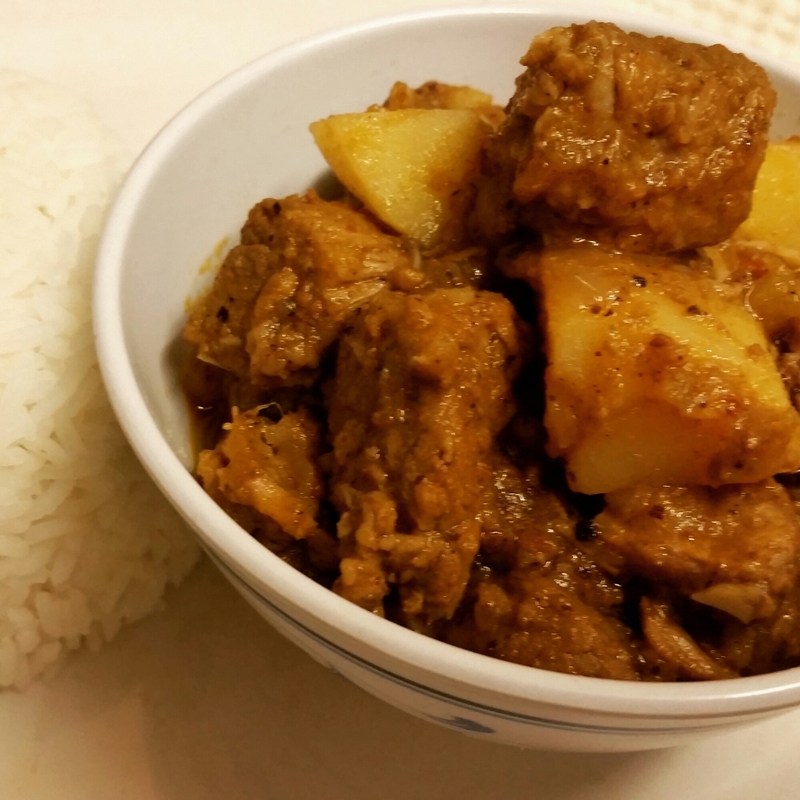 The end result is a delightful hot and sour curry with a slight hint of sweetness. I have heard stories in Goa that during family feasts this was cooked in a earthen pot and then reheated over 7 days before being finally laid in the banquet table. Not sure how true it is and if people these days have that kind of time. However one thing is for sure, this dish is a million miles apart from the curry house offerings. Another good thing is if you are making your own spice paste (easier than you think) you can control the amount of chillies that goes in it. 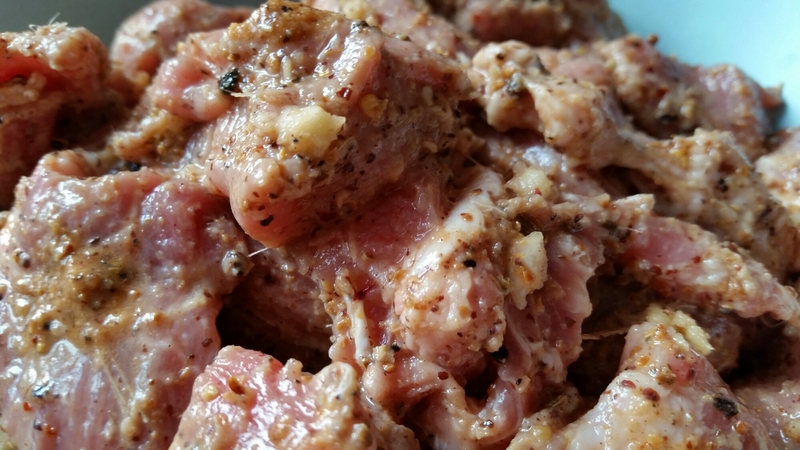 I used diced pork fillet and found that with a 5 hour marination the meat was falling into pieces with a gentle touch after about 40 mins of cooking but this will vary. Using Belly Pork or meat with slightly more fat will add to the final flavour of the dish. 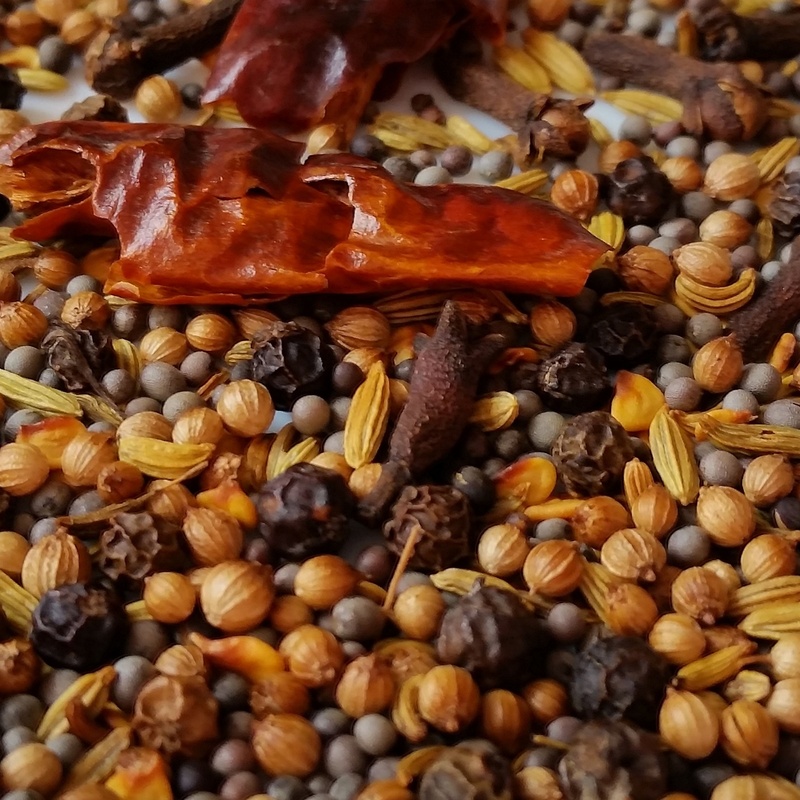 Dry roasting the spices brings out the best flavour and is defiantly worth the extra effort and time. I also prefer mine with potatoes but this is a matter of personal choice. Dry Roast all the spices except turmeric powder in a hot pan. Transfer onto a cool plate and leave aside. Make a paste with all the roasted spices, turmeric powder, salt, 3 tbsp of the Vinegar, Ginger and Garlic. Marinate the meat in this mixture and leave covered in a fridge for about 5 hours. 30 minutes prior to cooking take it out and allow to come to room temperature. Add oil in a heavy bottomed pan and when hot add curry leaves if using. Stir for a minute and add the sliced onions. Fry on a medium heat for about 10 to 15 minutes till slightly translucent. Now turn the heat up high and add all the meat and its marinating juices. Stir for about 10 minutes. Season with more salt if necessary. Add the remaining 1 tbsp of the vinegar and a drop of water if required. Turn the heat down and simmer gently for about 30 – 40 minutes stirring occasionally to make sure that its not sticking to the bottom and if necessary add little water to prevent it from sticking. Check meat and take off heat when done (this will depend on the cut of meat and marination but my fillet pieces with 5 hours of marination took 40 mins). It should be very soft to touch with the juices sticking to it. Serve with steamed rice or bread of your choice. 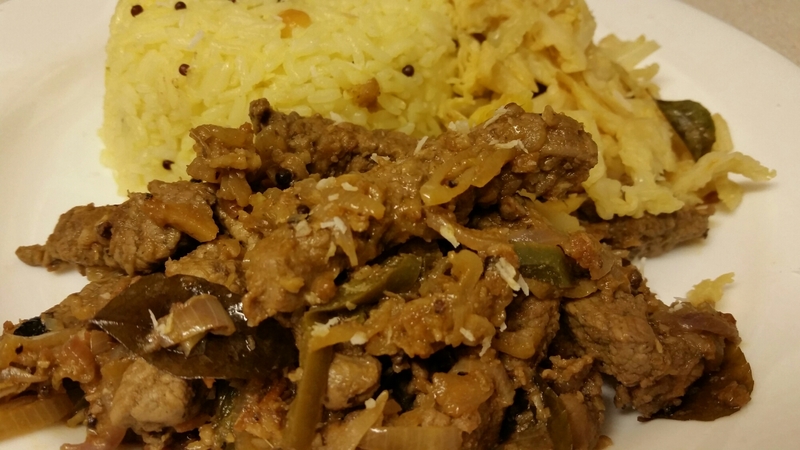 This dish can be prepared in advance and reheated when required enhancing the taste even more. I have added potatoes to mine but its a personal choice.